Over 75 volunteers put on their overalls to help clean up Marsh Farm as part of The Great British Spring clean. 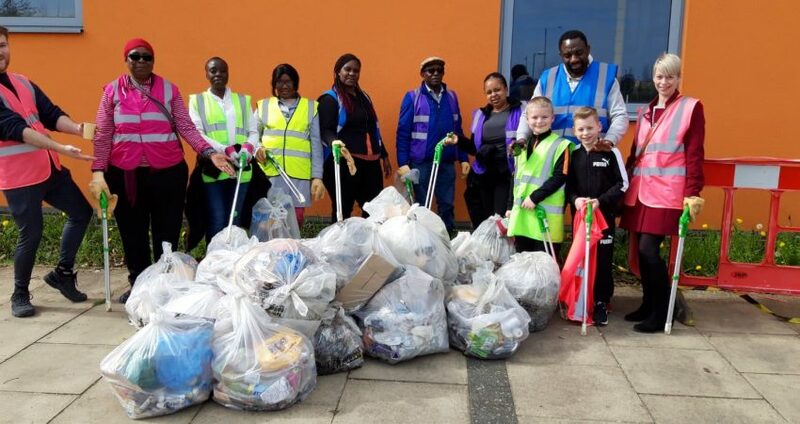 Organised by homeless Charity, Signposts, ninety four bags of litter and other random objects were collected from areas in Marsh Farm including outside Lea Manor School, the public path behind Underwood Close and Wauluds Bank Drive. The big clean-up is happening across the country from 22nd March – 23rd April 20 to encourage the community to volunteer and play an active role in improving the environment on their doorstep.